Today is the birthday of both Martin Scorsese—who turns 72—and Danny DeVito, who turns 70. To celebrate the birth of these two cinematic icons, the folks at NowThis Entertainment recut Matilda into a Scorsese movie, just because. It turns out that the story of everyone’s favorite telekinetic ’90s kid is more Scorsese-esque than we realized. The film features a protagonist who ruthlessly gets rid of her enemies, a crooked businessman being pursued by the feds, and someone trying to kill rats. There’s also something about the way NowThis recut the scene where Danny DeVito forces Matilda to watch television that makes it super chilling. 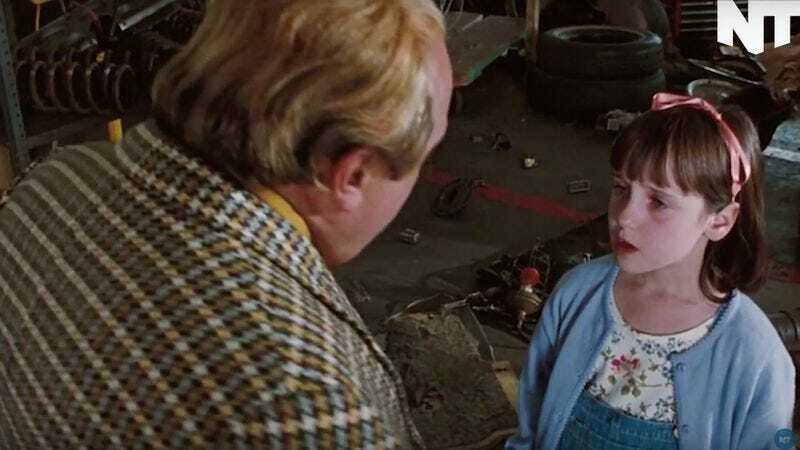 Sure, Matilda doesn’t actually beat Miss Trunchbull to death à la Billy Batts, then drive the body upstate in the trunk of Joe Pesci’s car, but she’s only 6-and-a-half. She has loads of time to work up to that.